This the traditional style of hand carving. 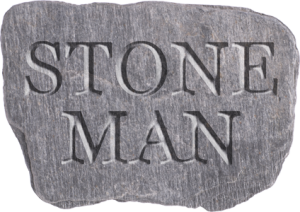 Can be carved into marble, slate, sandstone and granites. The letters will have a deep V cut which depending on the stone and your taste can be left with a cut finish, painted or traditionally gilded – we offer both gold and silver gild as finishes.Any style of font can be used, there is the more usual Times Roman in upper case or mixing both upper and lower can be very pleasing to the eye.